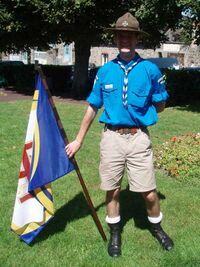 This user is the treasurer of ScoutWiki Network association. Hello, I'm Akela NDE and I'm currently the treasurer of ScoutWiki Network. On this page will you find some informations about me, but for further intelligence please go on my French user page (in French). Occupation : student in the Institute of Political Studies of Lyons. Navigates on the web using Firefox on Ubuntu GNU/Linux. This page was last edited on 20 December 2007, at 20:57.